I can’t honestly say which is a harder course, I haven’t taken both and I don’t intend to. I’ll soon sit down with a DELTA-qualified colleague and record a conversation comparing our experiences of the two courses, which should be pretty interesting. I’ll post it up once it’s done. In the meantime, here are some of the most common perceptions I’ve encountered about the Trinity DipTESOL in the last year or so, and my own thoughts on them. Feel free to comment, disagree, and share some of your own experiences of both courses. This is a classic assumption of the DipTESOL, and it’s usually based on the course having a ‘Phonology Interview’. In the Dip you have to talk for 30 minutes about phonology. You give a presentation on one way you use phonology in class, chat about it after, transcribe some spoken English delivered by the examiner, then chat about the theory and practice of teaching phonology in general. According to the DELTA syllabus there are two ‘language systems’ assignments to complete in Module 2, each with background essays of 2000-2500 words. If you are interested in phonology, you can choose this as one assignment topic. That’s a substantial amount of phonology focus in my book! As with Diploma assignments, I guess you could choose to focus your DELTA extended assignment on teaching phonology to certain learners. 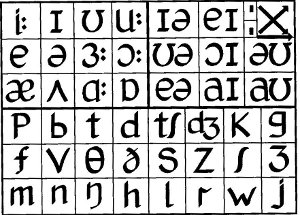 If you don’t choose to focus on phonology in your DipTESOL assignments (or exam questions), then you’ll only deal with this language system during a 30 minute interview, and as integrated in your lessons – plus in a bit of key reading. Phonology does form an important part of the DipTESOL syllabus. However, I’d argue that a strong knowledge of grammar and lexis is of equal, if not higher importance. A third of the final exam in the DipTESOL deals with these language systems. You have an hour to answer 4 questions on some fairly difficult grammar and vocab points. You’re marked on both accuracy and completeness for each question. Here are two example questions from the November 2010 paper… personally I don’t think they are that easy. 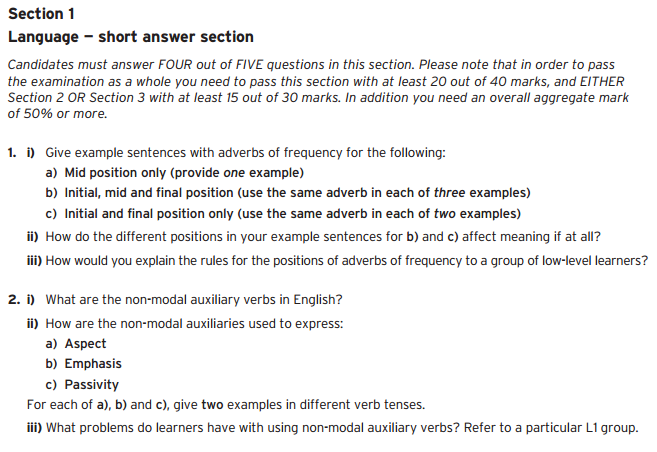 It must be particularly hard to achieve ‘completeness’ for Question 2 if you allow just 15 minutes for each question. So, is there a heavy focus on phonology? I guess so, yes. Is it any more than other language systems? Not necessarily. Is it more than on the DELTA? I suppose it depends on what you choose to teach and research. Yes, some do. I’ve witnessed this first hand. I was really disappointed when my old boss suggested that the DELTA was more rigorous. But let’s be honest, that was one person. I currently work at a British Council centre in Bangkok, and there is no prejudice regarding my qualifications. The two senior teachers who interviewed me had both taken the DipTESOL, so choosing that course above the DELTA has hardly restricted their careers! In my previous centre in Vietnam, the British Council were offering teachers funding for the DipTESOL rather than the DELTA. The BC network certainly considers the courses to be equivalent. I can’t vouch for other institutions though. In truth, I don’t really feel that the DipTESOL is just being brushed aside as an ‘or equivalent’ qualification in job advertisements, I just think that the DELTA is more recognisable. I’d hate to be a DELTA trainee, because I feel like a lot of recent DELTA graduates strike unnecessary fear into the heart of them! Trainee: Yeah. You’ve done it, right? How was it? Still, I’m sure we’re all guilty of this when we are the informed party. Someone asked me about my experiences of the recent CELTYL course I’ve just completed over 10 weeks. My response mirrored the one above. I think it’s just because the course is fresh in my mind, and the pressure I felt is still quite real. I bet in a few weeks my story will change to ‘yeah, it was a challenge but rewarding’, then in another month to, ‘give it a go, it’s a bit time-consuming but you learn a lot’. My manager got his DELTA marks last month, and found out he got a Merit for his teaching practice. I heard him sharing experiences with our new DELTA trainee. He said ‘look, the course is demanding at times, but if you put in the time and effort it is manageable, and you’ll pass it. Don’t worry too much, you have plenty of support’. Well said. Hindsight is a wonderful thing. I felt that the DipTESOL was a real challenge and I really felt the pressure, but when you come out with a good mark and the fear of failure has disappeared, you start to think ‘maybe I did blow that out of proportion a bit’. 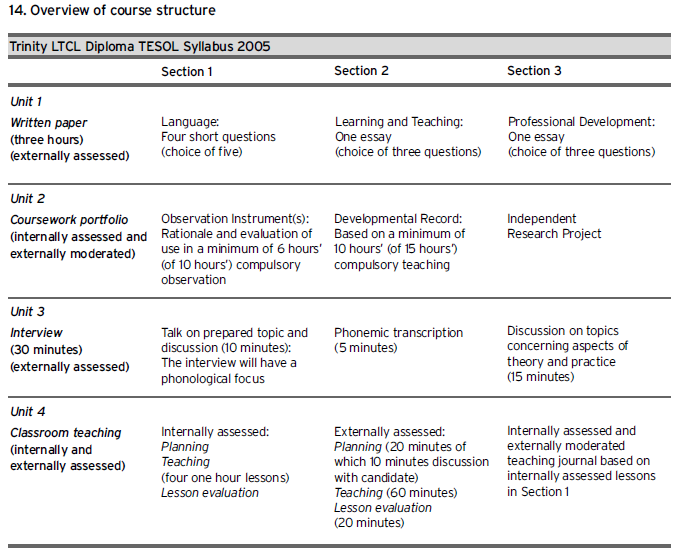 Course duration and course format. It’s always worth clarifying how long people took to complete each course when you ask them about their experiences. I imagine experiences on a 3 month intensive or 9 month distance DELTA would be very different to an 18-month distance DipTESOL. Previous experience. I’d already studied a Masters before I took my DipTESOL. This meant the assignment side of things didn’t worry me as much as it might others. However, there were some experienced teachers on the course who breezed through the teaching practice – I was a nervous wreck for that! Expectations of your chosen centre. In my Diploma interview I asked a bit about the standards for the written assignments. The tutor replied, ‘we would hope that you’ll be able to edit the assignments down afterwards and perhaps get them published in industry magazines’. Wow, talk about added pressure! I’m sure this isn’t a standard expectation for all DipTESOL centres, maybe mine just aimed high. Still, if this is what they say at DipTESOL centres and our courses are ‘easier’ then good luck with the DELTA! So, which course is harder?! It depends on how you do them, who you do them with, what prior experience you have. Basically, there are too many factors. You may be lucky enough to avoid some of the opinions I mentioned above. No doubt for every fleeting judgement you hear about your course, they’ll be twice as many teachers who are genuinely interested in the differences between these two courses and WILL consider them equal. Over the last year though, I must admit to being quite surprised at how little some teachers know about the Trinity DipTESOL – but then how much do I really know about the DELTA having not actually taken it?! Worryingly, my knowledge of the Diploma has sometimes led to a feeling of empowerment. I feel like an enigma at times, and I’m prone to misinformation. I’ve dumbed down the course to please others (‘yeah, but it’s not the DELTA, is it?’), I’ve played on its supposed strengths (‘We covered a lot about phonology on the Dip’) and I’ve exaggerated the level of challenge merely to justify my own standing. All of which have done nothing to help colleagues understand more about my alternative, yet equivalent, qualification to the DELTA. Let’s hope this post generates a bit of dialogue among ‘Dippers’ and ‘DELTA-ites’ to help stifle misconceptions on both sides. Yes, I know, we’re not really at odds, are we?! In years previous there were no must-pass criteria for teaching. Now there are. I’d say it’s probably as rigorous, though I wish the had been an experimental practice module on the Dip. Cheers for an informative post. Cheers for the comment and by the way nice blog. Yeah, the dip is lacking an experimental practice assignment. Having said that, the requirements for the indepedent research project on the Dip leave that pretty much open to anything. My Dip was split up into 32 short modules, each either had a compulsory assignment to send off (to show you’d tried to process the reading a bit) or a self-development task. 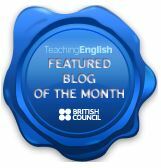 I experimented with tonnes of different techniques in the classroom through these tasks. However, that’s certainly not the same as the actual experimental practice module on the DELTA as I understand it. Not only that, when I arrived to do the teaching practice module, I found most of the other trainees has just ignored the self-development tasks as they weren’t compulsory!!!!! Anyway, I’m going to use your ‘Led Zeppelin’ vid next term, cheers. Yes, I felt like a swot on the Dip because come TP I was the only one who’s got through half the reading and the best at phonology. Everybody else on my Dip played safe with PPP. I experimented with Dogme and strong TBLT. I also taught more than others to get the possibility of higher marks. Glad you liked the video. I wish I’d bloody shaved. Sorry buddy, I wrote the last response thinking you did the DELTA actually, so you knew all that about the Independent Research Project! Who did you do it with (out of interest)? 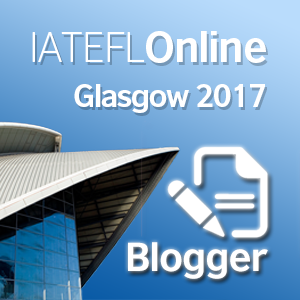 I was with TLI in Edinburgh. Shane in Japan. It was OK. Maybe I expected too much but feel I did everything by myself. Thank you for writing this. I have thought about a higher certification in about a year or two. I do have a CELTA and a M.A in ESOL. What I noticed with my CELTA training is that the more I learn the less I know. I really enjoyed the experience and realized there are a lot of things I am weak at but if I put the time and effort in, I should be able to pass. The thing that put me off the DELTA was the idea of ‘experimental practice’. Fine for someone who has followed the suggested path and taken the course 2-5 years after the CELTA. However, I wondered what I should be experimenting with after 15 years… The DRP allowed me to develop an area of teaching I had already experimented with (the lexical approach and learner autonomy) and I felt that was of more benefit to me than new tricks for an old teacher. Thanks for the comment Dave, and well done on finishing the Dip! I agree about the DRP – I think thatcan be used as an experimental practice. There’s so much crossover between the courses really. Actually, I still haven’t done an MA in TESOL – I’ve got an MSc in something psycholinguistics related but I’m considering whether its worth doing an MA now. Looking forward to reading more of your posts on the Dip vs MA, it may help me decide! You’re based at the BC right now aren’t you? Yes, I am at the BC in Bahrain. Most people here have or are studying for DELTA but there have been no suggestions that the DipTESOL is not quite up to the same standard. I would say the phonology aspect of the Dip definitely shines through as some of my DELTA-qualified colleagues say that pron work is still an afterthought rather than an integrated part of the lesson. Very informative! I’m currently doing the Delta (because it was the nearest available option to me in Catalonia) but the diploma looks like a great course too. In terms of recognition, there are (worryingly) loads of language schools run by Spanish/Catalan people who haven’t heard of the Delta OR the DipTESOL…..this says more about the institution than the courses themselves! Ha, that was a familiar story when I was in South Korea. A Masters is recognised there, but the Dip or DELTA don’t get you far. However, that’s a fleeting judgement from me based on my experience of the government run teaching scheme and many private schools – there are some (like the British Council in Seoul) where the diplomas would matter. I might ask a few people there to see if attitudes towards the diploma course are changing though. Hmmm. Interesting one… As for your DELTA, best of luck! How are you finding it? I’ve heard good things in general about DELTA training in Spain – at the IH centres in particular. Who are you doing the course with (if you don’t mind me asking…)? No problem. I’m doing the last two modules with Cambridge School (they have centres all over the Barcelona region). It has been a very positive experience. IH Barcelona is supposed to be good too but but they only really offer all three modules integrated, and I had already done the first module online. I’ve recently signed up for an M.A at Leicester. In the course of the last year I’ve spoken to Nottingham, Birmingham, Manchester, Warwick, and Reading universities. All of them recognized the DipTESOL as an equivalent to the DELTA. I also received credit from Leicester for the Dip, and it was exactly the same as the credit you would receive for a DELTA. I work for I.D.P, who are in partnership with the British Council & Cambridge, and run the IELTS examinations worldwide. In the first 6 month of receiving my Dip I was promoted, given a pay rise, and trained to be an IELTS examiner. My employment opportunities have also benefited from the course. I’ve been researching jobs in the Middle East, Africa, and China and across Europe recently, and the Dip is recognized by all of the reputable institutions I contacted. I agree that the DELTA is probably the most recognizable diploma, and a lot of my colleagues have never heard of it. But the main point I would like to make is that all of the reputable institutions I have contacted since qualifying are fully aware of the Dip. As I’ve already mentioned this relates to a lot of reputable universities, IELTS, and reputable schools across the globe. I’m not sure that ignorance of a product can necessarily be used as a measure of how good the product is. Everyone I have talked to is happy with the Dip, and all agree that it has made them better teachers. I also understand that everyone’s entitled to an opinion, as long as they realize that without evidence or research, that’s all it is. Hi Paul, thanks for the comment. Have you started the MA yet? If so, how’s it going? I’ve heard a lot of good things about IDP – I know that they offer some pretty good contracts where I am here in Bangkok. Regarding your comments about measuring how good the Dip is, I certainly don’t think ignorance is a good measure! I was being a bit sarcastic, and just poking fun at the dominance of the DELTA. The qualifications are certainly comparable and yeah, most reputable institutions seem to view them as equal. Not all institutions do though – that doesn’t necessarily mean that they view the qualification itself as not equivalent, but they may have a bias towards other qualifications based on course content. 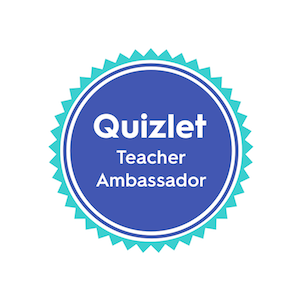 The course definitely made me a better teacher too, and it’s given me a lot more confidence. 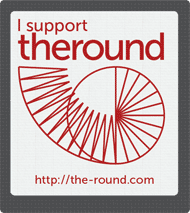 My views are certainly not based on any research, just personal experience so are very subjective. Thanks for posting this. It is an interesting and informative read and the replies are very useful for anyone considering a diploma. I think one of the key points that could be explored further is employer responses and expectations. Any reputable institution should be viewing the qualifications identically given that they are on the same level in the UK qualification ranking. In fact they are both level 7 qualifications indicating they are of the same level of academic rigour. 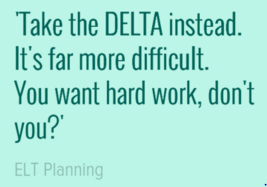 If employers view them differently it is probably because of their own personal experience and because the DELTA is simply better known- Cambridge are a much bigger organization with greater marketing power. Our grads have had positive responses from all universities when going on to do a MA TESOL and with employers. In one instance the graduate went for an interview and the employer had not heard of the Dip (this was for a very well known university in the US). But when he explained the content of the course he was given the job. They valued the practical nature of the Diploma over an MA. I am course director on the Dip TESOL David Dodgeson (see previous comments) took and I am happy to answer any questions you have about the Dip TESOL. Hi Nicola, thanks for the comment. I totally agree – personal experience and the dominance of Cambridge are major factors. I wrote the piece based on personal experience myself. I’ve spoken to a fair few universities about doing their MA courses and they’ve all said that the Dip would get you accredited prior learning credits. Given you’re an expert, what do you think are the main differences between the Dip and the DELTA? I know that’s a broad question, but I’m sure many would appreciate your input! 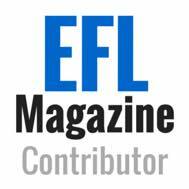 A few years ago I looked into UK university courses offering credits towards prior accredited learning on MA TESOL / applied linguistics courses. It was something like 21 unis for DELTA and 19 for the Dip. And I think that one of those two that didn’t recognise the Dip was the MA at Cambridge University, who have a vested interest in maintaining the snobbery. A little later I spent a summer teaching at a major EFL and Cambridge training centre where many of the teachers had done the DELTA in situ. I was somewhat alarmed to overhear post-DELTA teachers saying that they didn’t feel that confident about teaching phonology and tended to avoid it. As someone who has trained on the Dip, I know that many dippers feel like this when starting the course. But, because phonology is a whole module, it’s not really possible to get to the end still feeling that way. I’m sure the DELTA has some advantage(s) in other areas but if I were hiring a teacher, their having a dip would give me confidence that they CAN teach pronunciation, whereas with the DELTA it’s a maybe. Obviously, in terms of the learning, it’s about the course provider probably just as much as the certificate. I’m pro-Dip, but I’d recommend a DELTA at a good centre over a Dip at a bad one. Hi Danny – I agree with everything you’ve said. I’m bound to be pro-Dip though! hehe. I do think the pron element of the Dip is really good, but DELTA trainees could focus on that if they wanted to. I haven’t met many, or any actually, who have though. Cheers for the comment!